Here is another very cool Give Away for Latest Tech Tips readers. Do you want to create your own Desktop Video tutorial or a video presentation? Well for that you need a tool which can record your activities on the desktop. 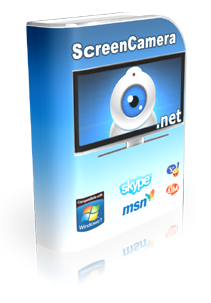 Be it a software tool, a presentation or any activity you are doing on your desktop ScreemCamera.Net can capture your activities on the desktop and record it. ScreeCamera.Net is available for $99.95 but for Latest Tech Tips readers PCWinsoft is offering Free Give Away licenses. 1. 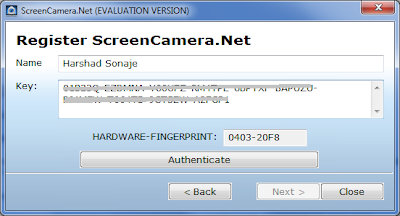 Simply download ScreenCamera.Net from this link http://www.pcwinsoft.com/download/ScrCam-Net-Setup.exe. 2. Install ScreenCamera.Net on you computer. 3. Visit the registration link and get the license key. 4. Registration take just few seconds. You can easily create professional tutorials, presentations and images using ScreenCamera.Net. ScreenCamera.net also allows superimposition of visual elements in a manner similar to Adobe Photoshop wow isn't that cool. You can not only capture the videos of HD quality but also share them over Skype, MSN, Ustream.tv..
You are now all set to start recording and sharing your own Desktop Video Tutorials.